Hello lovelies! Okay, first of all, I’m stoked to announce this as my first official post since my recent involvement with Teenage Wonderland. Yay! I can’t wait to share lots of exciting stuff with you guys. BUT, I figured I’d kick it off with a good ol’ outfit of the week. This Free People dress is one of my absolute favorite new pieces of the last few months. I know, I know – “Florals for spring, groundbreaking.” But I really like how understated the floral print is with the paisley thrown in, and the neutral tones over the slightly faded poppy color, as opposed to your typical spring pastels. Very bohemian. 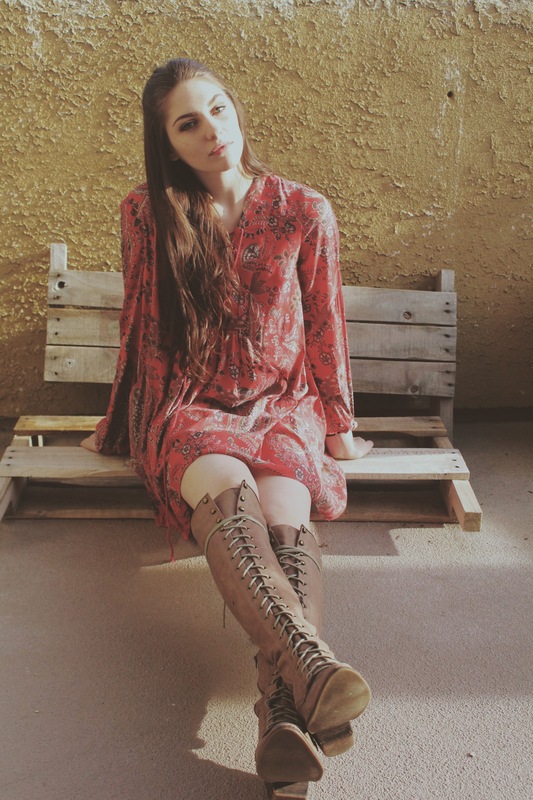 The boots are from Free People as well, and are an absolute staple that I’ve had for years and wear regularly. They go with EVERYTHING. Obsessed. Tell me what pieces you’re most excited to wear now that the weather is warming up! Can’t wait to jump into this new adventure on this blog with all of you!